Everyone had a pretty big hunch that Furious 7, the latest installment in the chronologically confusing Fast & Furious franchise—and the last to feature the late Paul Walker—was going to do well at the box office. But after gunning out the gate last weekend with an enormous worldwide gross of $384 million (almost half of which came from the pockets of American moviegoers), the sequel continued to exceed expectations, like an undercover cop making a name for himself on the dangerous street-racing circuit. Wait, do these movies still feature undercover cops and street-racing? They don’t, do they? 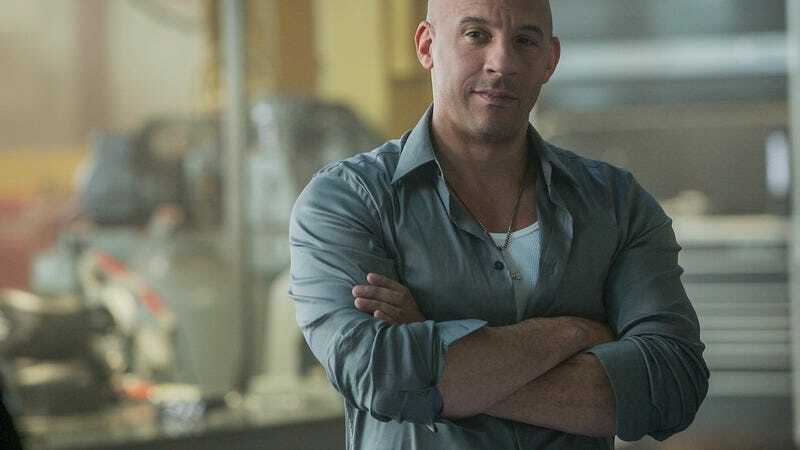 Easing off the gas a little, Furious 7 dropped 59 percent in its second week of American release, but has still made enough ($252.5 million and counting) to qualify as the biggest hit of the series. More impressively, the movie continues to dominate the international charts. It set an opening-day record in China, making a cool $68.6 million, or about the same amount its predecessor grossed over its entire run there. Analysts are now estimating that Furious 7, which has pulled in some $800 million on a global scale, could cross the $1 billion mark. That would put it in the esteemed company of such all-time winners as the first Avengers movie, the last Harry Potter movie, and the most recent epic love stories James Cameron has slapped his name on. None of those earlier movies, of course, featured the Rock fighting Jason Statham, the best special effect money can buy. Essentially lapping its nearest competition (the animated film Home, which made $19 million in its third week) Furious 7 left everything in its wake choking on dust. Opening in third place, The Longest Ride confirmed that audiences prefer horsepower to horses, even when a close relative to Clint Eastwood is holding the reins. (The film made $13.5 million, which is pretty standard for a Nicholas Sparks adaptation.) While Woman In Gold, Danny Collins, and While We’re Young expanded into wider release, all doing solid business in the process, Ex Machina opened with a respectable $250,000 at just four venues and Desert Dancer only managed a dismal $43,000 on six times as many screens. Finally, It Follows creeped and crawled its way to nearly $12 million, continuing to demonstrate how profitable word-of-mouth can be. Or maybe people just like movies that prominently feature cars.